Strengthen & Grow Your Network with Social Network Analysis | Converge for Impact: Making Complex Collaboration Work. Networks are proving to be powerful catalysts for aligning stakeholders and tackling wicked problems of all kinds. But how can networks be evaluated and analyzed? And how can we strategically shape and navigate our networks to align with our goals? Today, new techniques are emerging that allow us to map and analyze networks and systems in a clear, visually engaging layout. For instance, the powerful open-source network analysis software Gephi has the backing of a strong community of co-developers and an ever-expanding suite of features. In our work engaging with and analyzing many types of social, organizational, movement and collective impact networks, we have observed two particularly powerful and actionable applications of social network analysis. Network analysis is also a powerful tool for directing the engagement strategies of a network and answering the question “who else should we be connecting to?” Network maps filtered by characteristics such as sector, issue area, geography and language provide easily understandable “shared displays” that can help network leaders and members determine upon the best path forward. Furthermore, community-finding algorithms can parse out groups of highly connected nodes within networks. This valuable data can help identify factions or cliques forming within networks, pinpoint the “hubs” of a network who exhibit a high degree of social capital, discern the degrees of separation between people and groups in a network, and highlight the shortest path to connect with a particular group or person of interest. For instance, network maps have helped the Irvine New Leadership Network visualize the leadership structure across Fresno County and direct program selection decisions by highlighting the essential community stakeholder groups that are not yet sufficiently integrated into the network. 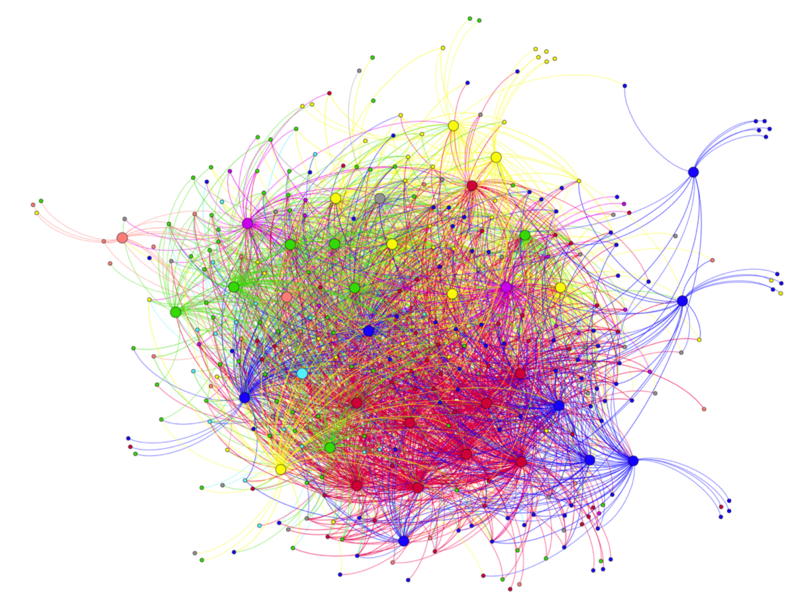 By graphing the strength and density of connections within a network while tracking the evolving connections over time, network analysis can evaluate the health and growth of networks far more effectively than raw numbers or first-hand accounts. For example, analyzing the network of a large school district’s Parent University System over the three years since its inception provided compelling evidence to the district school board that the Parent University System was cultivating a strong, growing network of engaged parents. Simultaneously, the network analysis helped identify areas of structural weakness that could compromise the network’s vitality if not addressed. We found that the school district’s connection with a particular ethnic community of parents was heavily reliant on a single staff member – if that staff member were to leave, the school district would be at risk of losing ties to the entire community. Therefore, we recommended that the school district diversify their connections with that particular community, so their parent network would be robust enough to withstand inevitable staff departures. This entry was posted in Networks and tagged social network analysis. Bookmark the permalink.